Rated up to 180 lbs. 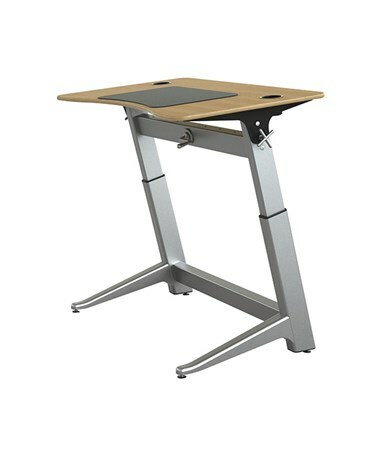 The Safco Locus Standing Desk by Focal Upright is designed with a desktop made with 13-layer durable plywood ideal for every drafting and writing tasks. It is topped with three layers of polyurethane varnish on veneers and powder coated aluminum cup holders which allow you to keep coffee or water securely nearby. 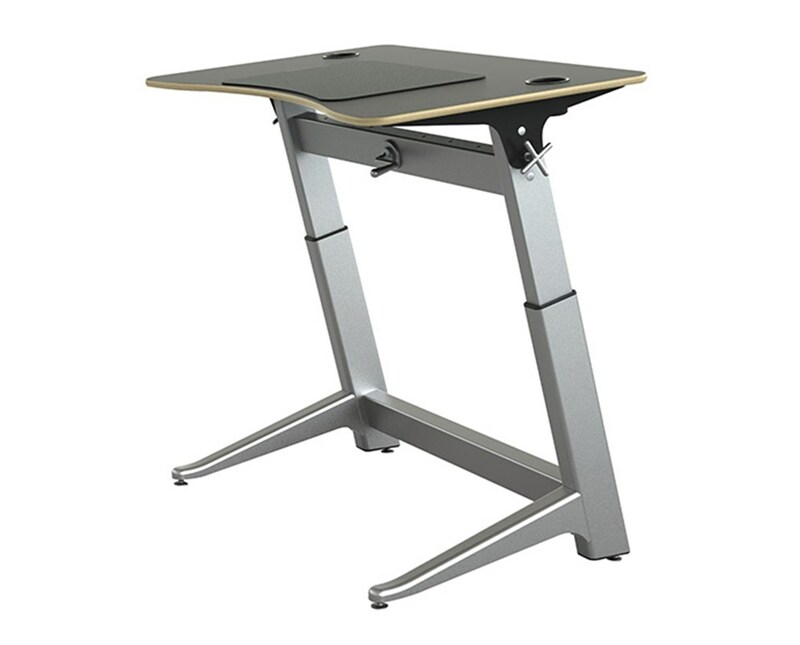 The Locus desk is designed with a height-adjustable base to fit every personal comfort and height. Outlined with legs made of cast aluminum and a powder coat finish, the Locus table is chip-resistant and durable but still maintaining a sleek look. Its height is adjusted using a German spindle or bevel gear system for quick and easy adjustments. Made with hardened steel and aluminum adjustment mechanism, the Locus comes in varying colors and sizes. The desk has a tilt option allowing the user to tilt the desktop up to 15 degrees to provide a variety of adjustments suitable for all preferences. Rated up to 180 pounds, the Locus by Focal Upright is perfect for offices, homes or schools, for a more active working experience. The Safco Locus Standing Desk by Focal Upright comes in three sizes and four colors to accommodate every needs and preference. Choose your pick from the drop-down section above. Capacity up to 180 lbs. Finished Product Weight 82.75 lbs.